Camera Corps will showcase Q-Ball at NAB Show NY. TM Broadcast. Camera Corps will demonstrate examples from its range of specialised broadcast cameras at the 2016 NAB Show, New York, November 9-10. “NAB New York provides an excellent venue for meeting US and Canadian broadcasters, production companies, studios, outside broadcast service providers and live event companies“, has said Camera Corps’ commercial manager Barry Parker. “There was a lot of interest in our products at last year’s show and these have since been supplemented by a major investment in new cameras, lenses, remote heads, monitors and fibre systems. Our ability to design and build custom products also attracted strong attention. Our stump cameras were used in US for the first time last year at high profile exhibition cricket matches in New York, Los Angeles and Dallas”. “This year’s NAB New York demonstration will include demonstrations of the Camera Corps Q-Ball and Q3 remote heads plus the MeerCat ultra-compact camera”, has added Neil Ashworth. “These enable programme producers to obtain live video reliably from practically any location. 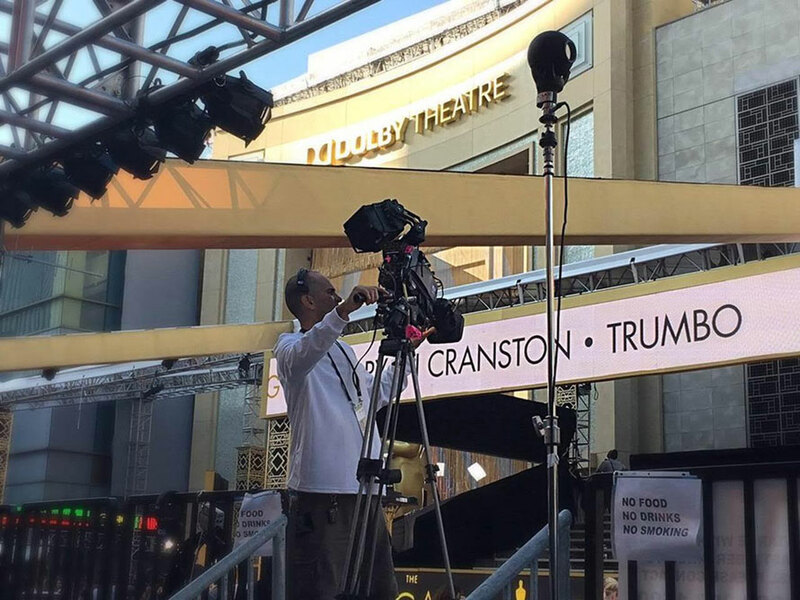 A number of Q3 heads were deployed at a prestigious awards ceremony, televising some of the world’s leading actors and actresses arriving at the Dolby Theatre, Hollywood. Our unique selling point is the Camera Corps control system which binds all our gear together for fast deployment and easy operation”. Q-Ball was designed to meet Camera Corps’ own requirements for a compact and highly robust head with full robotic pan/tilt/zoom/focus. The head is just 4.5 inches in diameter and can be steered in any direction to create a new viewing angle or to track the action at practically any required speed. Q-Ball can be mounted unobtrusively almost anywhere and connected via cable or fibre to its HD-SDI output interface. Integral low-noise motors allow the camera and its 10 times optical zoom lens to be varied smoothly while on-air. Pan and tilt can be operated simultaneously or independently at any speed from 20 minutes down to 4 seconds per rotation cycle. The camera is coupled via dual slip-rings to allow unlimited 360 degree rotation. The Q-Ball system can also carry four channels of embedded audio. Vertical pole mounted Camera Corps Q3 robotic camera head in Hollywood. Slightly bigger than Q-Ball, Q3 has higher specification, a 20 times optical zoom and a higher sensitivity imager. The motor system has been further refined, enabling remote operators to match the precise acceleration and deceleration of much larger robotic heads when tracking moving performers on-air. Q3 is compatible with multiple serial data formats including IP plus the Camera Corps audio-based data system. Up to 96 Q3 heads can be operated from a single joystick panel. MeerCat is an ultra-compact head designed for fixed-position shooting. It fulfils the need for a very high quality miniature HD broadcast camera which can be mounted practically anywhere without being visible to other cameras or to an audience. Developed in response to demand from sports, reality-television and stage-show producers, MeerCat is housed in a metal case with a very small footprint, just over an inch, and is only 3.7 inches high. Lens protrusion is just 1 inch. MeerCat incorporates a high-quality third-inch MOS sensor with 1944 x 1092 effective pixels. Video is output as HD-SDI which can be converted to an optical feed using a Camera Corps optical fibre interface. Minimum illumination is 1.2 lux at f/1.4. Chroma, master black, saturation, gain, shutter, detail, white balance, gamma, speed and exposure, video format and noise reduction can all be adjusted from the remote control panel. MeerCat can also be used as a wearable camera with a full high-definition live wireless link. Full control facilities including manual iris setting with adjustable electronic exposure can be performed remotely using the existing range of Camera Corps joysticks and remote panels. Exhibiting on the Vitec Videocom stand, 625, Camera Corps will be represented by operations manager Neil Ashworth.